DigitalCoding's mission is to connect small businesses with software solutions that help them better carry out their work. We want small businesses to be able to find and use the best software available, so that they maximize their effectiveness and impact and, in turn, change the world. DigitalCoding offers a range of support services that help create and sustain useful software for small businesses. We provide consulting, mentoring, and infrastructure support for small businesses software projects with an aim toward building the capacity of developers and project leads. 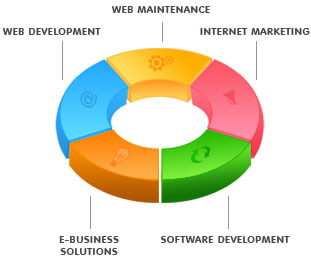 DigitalCoding provides custom web/desktop/mobile application development to serve your business needs. From mission-critical solutions to cost-effective web applications, we build them all in full compliance with your requirements. By completing numerous custom software solutions and custom e-business software development, we have built our expertise so that we can support many business models. By developing compatible and efficient Intranet & Extranet applications, we cultivate methods to build an effective approach to each customer's situation. DigitalCoding is a South Florida web/desktop/mobile application development company. We provide an easy, effective and affordable solution for small businesses and organizations to establish and build a successful presence on the IT world. We stand out from other web/desktop/mobile application development companies because of the personal service we provide to our clients. It's not just about designing a web site; It's about building a lasting, trusting, relationship with our clients by providing realistic, practical advice that enables our clients to grow as the technology evolves. Fort Lauderdale, Deerfield Beach, Boca Raton, Parkland, Coral Spring, Sunrise, Plantation, Boynton Beach and West Palm Beach. However, we have also provided web site design, web site hosting, programming and search engine marketing solutions to businesses across the entire United States, South Asia. Distance is not an issue in the electronic age, we can work with clients anywhere in the world.